The Texas Senate on Thursday gave its blessing to a bill that would eliminate the state’s vehicle safety inspection requirement for most vehicles. It would still apply for commercial vehicles. Editor's note: A bill eliminating vehicle safety inspection requirements in Texas did not reach Gov. Greg Abbott's desk during the 2017 regular legislative session. Under Senate Bill 1588 by state Sen. Don Huffines, R-Dallas, safety inspections would still be required for commercial vehicles, and a portion of the money currently collected from annual inspections would be allocated to the Texas Mobility Fund for road repairs and construction. 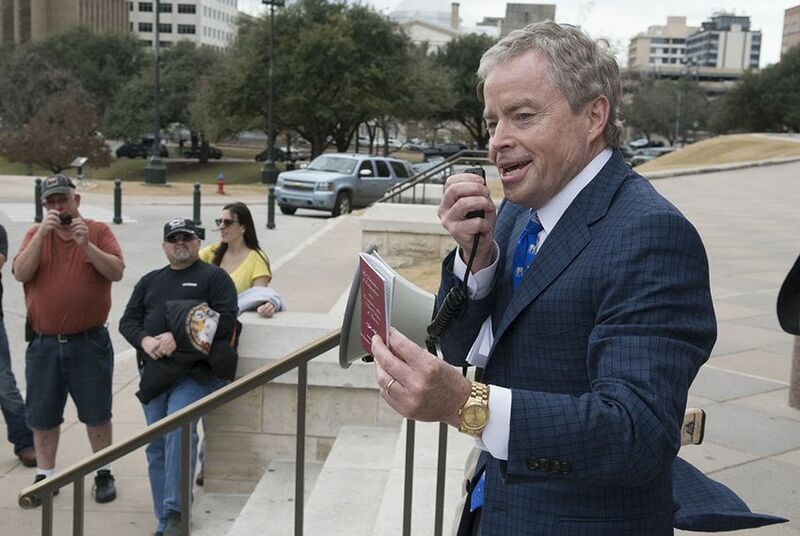 “Vehicle inspections do not make our roads safer — it’s just a tax,” Huffines said during debate. Huffines said his measure, which passed 27 to 4, would bring Texas on board with most other states in the country that have opted out of vehicle inspections. Texas is one of only 15 states that still requires the test. The requirement has been in effect since 1951, according to the bill analysis. “It’s over 50,000 people a day, seven days a week that have to do this,” Huffines told reporters after the vote. The legislation would not affect the current emissions test requirement, which is required for several of the state’s counties, including Brazoria, Collin, Dallas, Denton, Ellis, El Paso, Fort Bend, Galveston, Harris, Johnson, Kaufman, Montgomery, Parker, Rockwall, Tarrant, Travis and Williamson. The vote came after state Sen. Eddie Lucio Jr., D-Brownsville, spoke against the measure and said it would not only make Texans less safe, but eliminate jobs for vehicle mechanics whose only responsibility is vehicle inspections. The Automotive Service Association, which bills itself as a group that promotes “professionalism and excellence in the automotive repair industry,” issued a press release Tuesday asking lawmakers to vote against the measure. “This private-public partnership program should not be eliminated without further research and input from stakeholders,” said Automotive Service Association representative Robert L. Redding Jr.
Huffines said he’s confident the bill, or its companion in the lower chamber, House bill 3995 by state Rep. Ron Simmons, R-Carrollton, will receive the same bipartisan support from House members. That measure was passed out of the House Transportation Committee earlier this week. If passed, the legislation would take effect March 1.